The design is totally cool, the functionality second to none. The Phoenix Y.D. 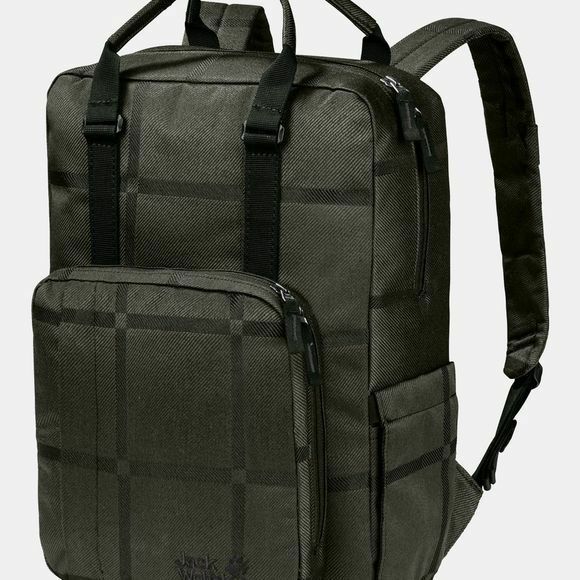 is a small day pack made of an extra robust fabric with a special woven structure. It's ideal for the office, university or everyday use. Behind the simple exterior there are all sorts of practical pockets and compartments. The pack has dedicated compartments for your tablet (10") and laptop (14") and there's space in the front pocket for various writing implements and other little essentials. The roomy main compartment is sized to accommodate A4 files and documents and the boxy design stops them getting damaged or dog-eared. The special fabric is woven from different yarns and gives the pack its signature look. The yarns are pre-dyed before they are woven.